EAST RUTHERFORD, Aug. 8, 2018 - Roma's Edin Dzeko (R) competes during the International Champions Cup match between Real Madrid and AS Roma at MetLife Stadium in East Rutherford of New Jersey, the United States, Aug. 7, 2018. Real Madrid won 2-1. 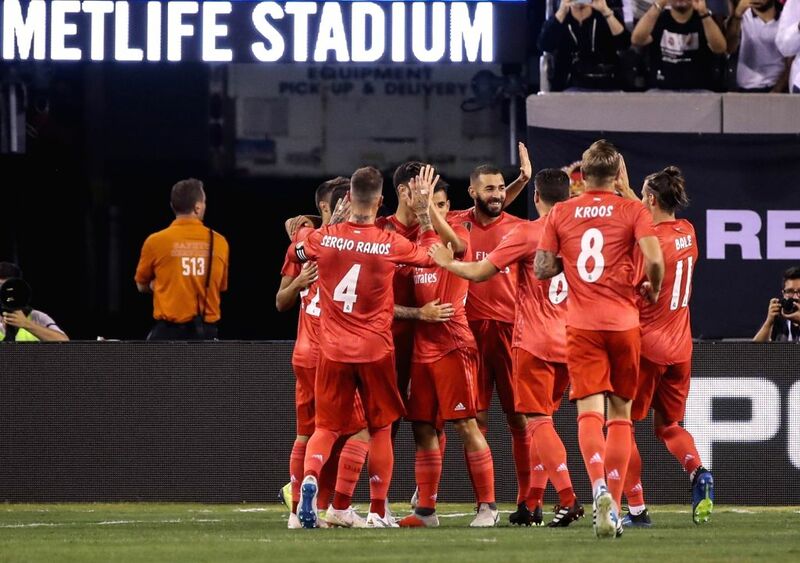 Players of Real Madrid celebrate for a goal during the International Champions Cup match between Real Madrid and AS Roma at MetLife Stadium in East Rutherford of New Jersey, the United States, Aug. 7, 2018. Real Madrid won 2-1. 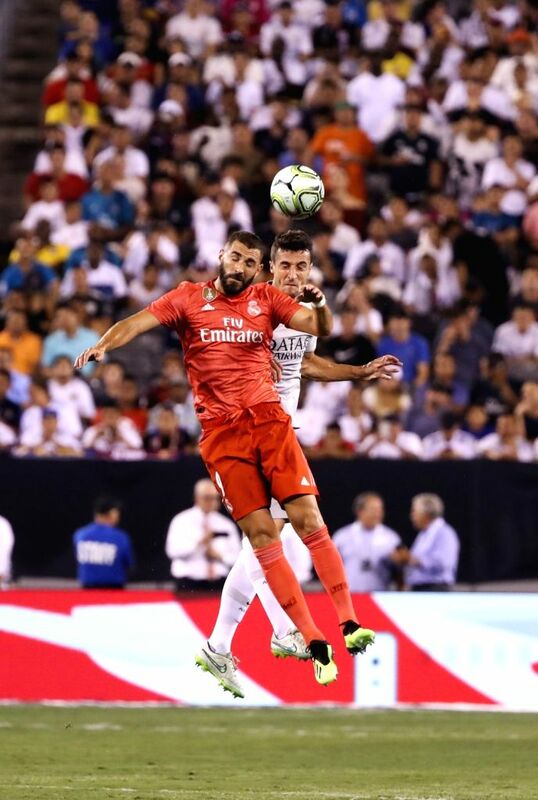 Real Madrid's Karim Benzema (front) heads the ball with Roma's Ivan Marcano Sierra during the International Champions Cup match between Real Madrid and AS Roma at MetLife Stadium in East Rutherford of New Jersey, the United States, Aug. 7, 2018. Real Madrid won 2-1. 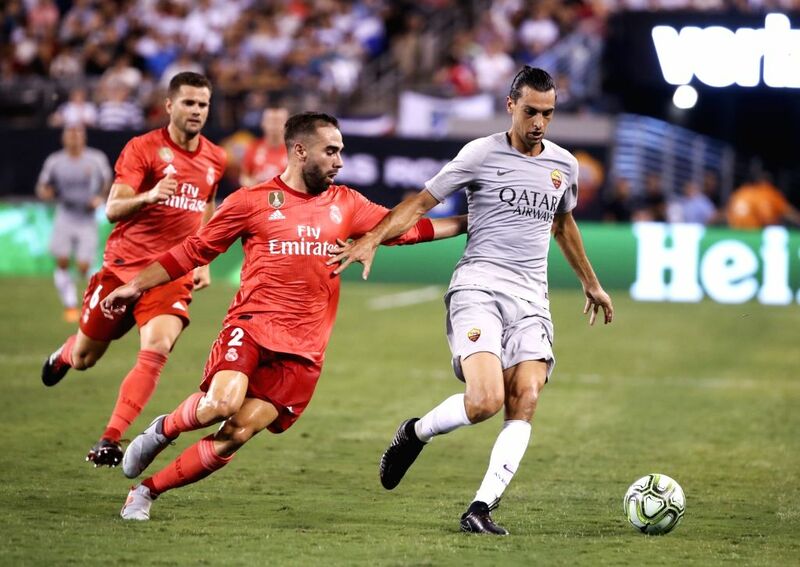 Real Madrid's Daniel Carvajal (C) vies with Roma's Javier Pastore during the International Champions Cup match between Real Madrid and AS Roma at MetLife Stadium in East Rutherford of New Jersey, the United States, Aug. 7, 2018. Real Madrid won 2-1. 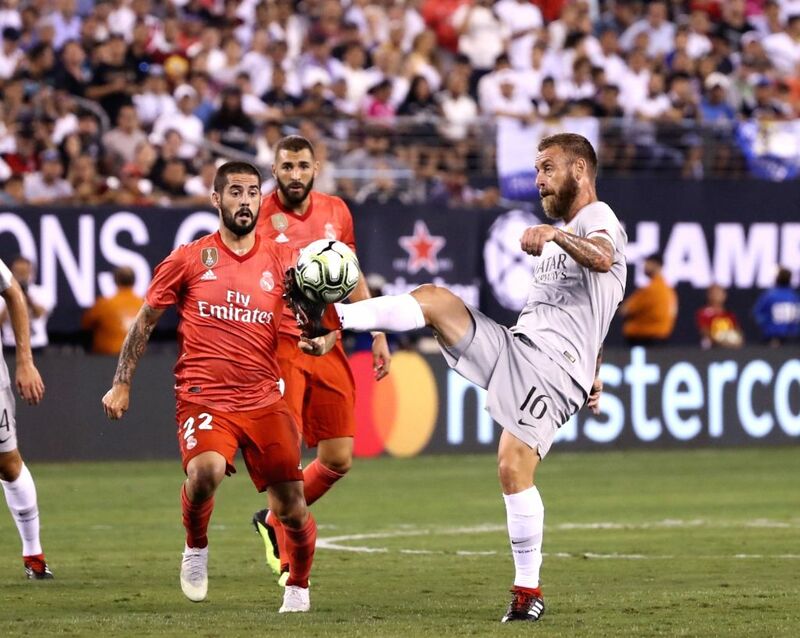 Roma's Daniele De Rossi (R) vies with Real Madrid's Isco during the International Champions Cup match between Real Madrid and AS Roma at MetLife Stadium in East Rutherford of New Jersey, the United States, Aug. 7, 2018. Real Madrid won 2-1.